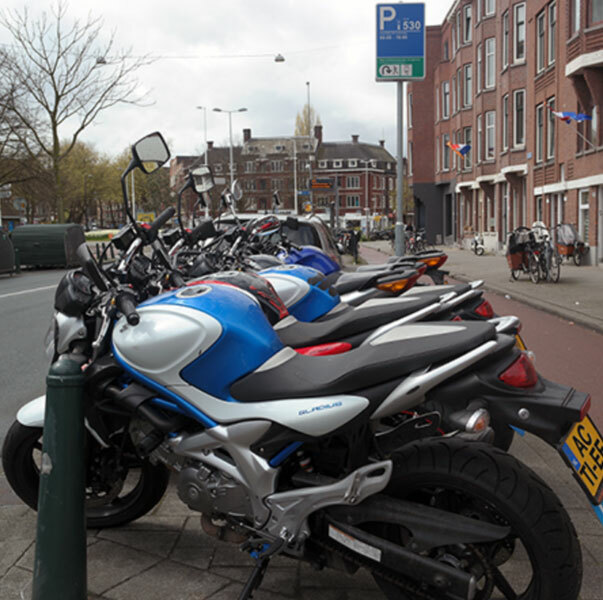 Motorcycling has become very popular in recent years. It is a fascinating leisure activity. Evermore people discover the combination of leisure activity and transportation. Touring in the open air, enjoying nature or navigating through traffic jams at your own pace. The motorcycle lessons are given by certified instructors. These lessons are given on a parking lot and immediately followed by an exam. If you pass this part you can continue with the next part on traffic participation. Our motorcycle lessons take 100 minutes. You need to possess theory certificate A. If you possess a driver’s license (B) you can pass the theory during the lessons on traffic participation. You will be trained to become a fast-paced, smooth, social and safe traffic participant. For information about the categorization and admission criteria for practical exams, click here. During 3 hours you will get to know the motorcycle. 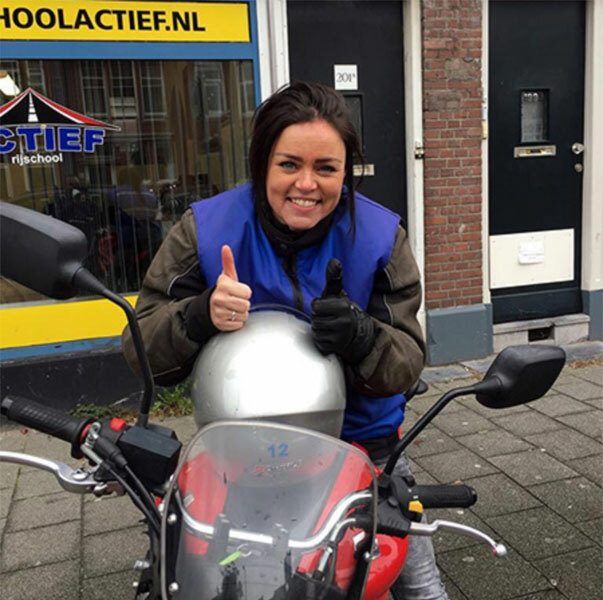 Step by step you will learn what to pay attention to and how to act while motorcycling. Then, you will practice in a closed practice terrain. Clothing and helmet are included. Price: € 130 per person.